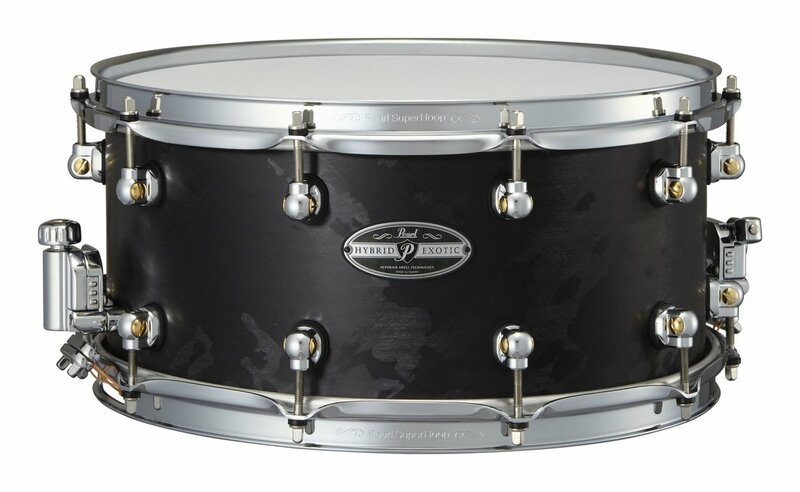 The Pearl HEP1465 Hybrid Exotic VectorCast snare is the pinnacle of Pearl’s snare design. Pearl’s engineers have spent countless hours experimenting with groundbreaking shell concepts, and the result is described as ‘sonic perfection for true professionals’. The revolutionary VectorCast shell begins as a single strand of resin, which is spun out in X-shapes to form one of the most flexible shells yet, full of lively and fat tones. Hybrid Exotic snares also feature the new Spin-Tight tension rods, which take tension rod tuning stability under stress to a whole new level. Its characteristic sound is both lively and fat, and is a vast departure from other synthetics like Acrylic or Carbon Fiber. This item is currently in stock in our Glasgow Store and is ready for immediate dispatch.